Need the perfect pool party invitation? When you want to plan an extremely fun get together with your friends, set up a great pool party invitation and lay back and have a great time when the next pool party is around the corner. Pool parties contain food, music, games, and of course swimming. In order to get people interested in going and be aware that you are even having the event, invitations will need to be sent to all of the people you want to invite. The first step is to create a list of all of the people that you plan on inviting to the pool party. Go over it with a few of your friends to make sure that you are not forgetting someone that would be offended later. Next, choose a great theme or design that will grab their attention and will look fun for them. By choosing a front that is easy to read and bold they will pay more attention to it. 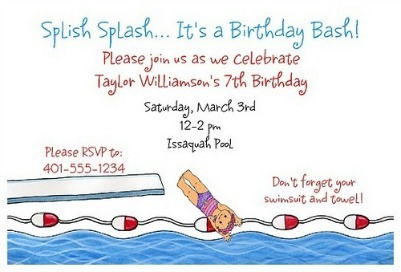 The design of the pool party invitations will vary on what age group is throwing the party. When including what to put on the invitations, keep it down to a few simple words. what they need to bring in order to be prepared. By providing a RSVP date by you are telling them they need to call ahead of time and letting you know if you can count on them or not to be present. It is a lot easier to go on a number of how many you can expect to see at your event rather than just guessing and hoping you have enough supplies. 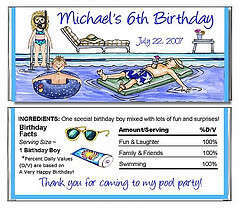 Along with preparing the best pool party invitations you can decide to have them professional done. Then, they would be more expensive, though. 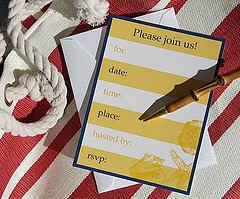 But, you can cut out the middle man and choose to make these invitations yourself. If you choose to do them with a couple of your friends you can pick all of the designs and make sure they are done correctly. Of course it would take time but it can also be fun! In the end it would be much more worth it.